I have an obsession with containers. Something about a cute thing with the ability to put my life in order just seems right. That obsession tends to leave me with many containers that have no use! 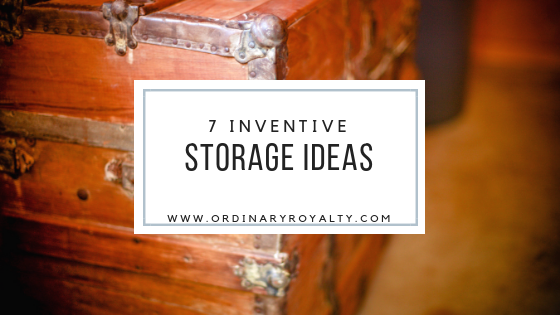 So I've come up with a few inventive ways to use some of my favorite items for storage. 1. 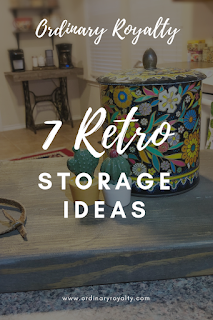 Vintage tins are usually cheap, make great decoration, and are perfect for storage! 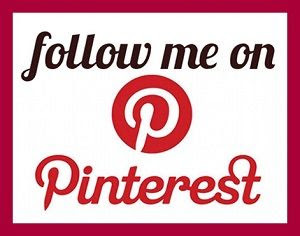 I have used them in many different ways to clean off my counters and organize any small, loose items. For example, I have my tea bags in these tins instead of in the boxes they came in. What a big difference! Yuck. See the after photo later on in this article! 2. Tea and coffee cups can be used in many ways! Instead of a terracotta pot, use an old tea cup for your favorite plant! Have a million unused coffee mugs laying around? Why let your favorite mug sit in a cabinet where you don't get to enjoy it every day? Melt wax to make it a candle! (Shout out to Swan Creek Candles and their amazing candle refill kits) Or use it to hold your small bits of jewelry. 3. I am obsessed with Pioneer Woman dishes! So much so that I can't bear to leave them in the cabinet! So instead of hiding them away, I've found ways around my kitchen to use them for storage. My measuring cup is used to hold my wooden utensils, and my large mixing bowl is perfect for my K-Cups (it's easy to move them to another bowl and rinse it out when I need it). 4. Wooden Crates have a million uses! 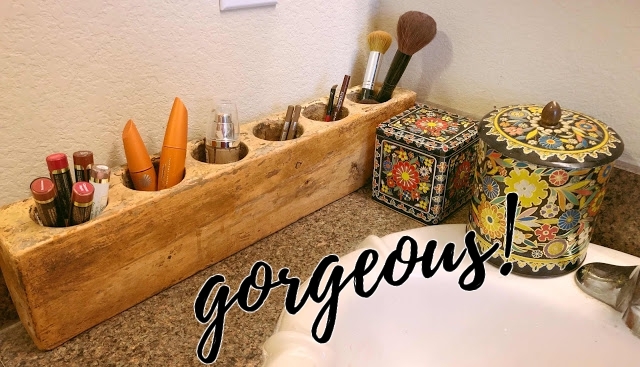 Whether they have individual slots, or they are open to store large items, there's a perfect use for them around your house. I have one to keep my records organized (this one is not vintage because I needed a specific size for this to work). This one has slots which were originally used for soda bottles. I got tired of having all of my spices out of sight and out of reach! No they aren't cute and labeled, and they don't all match (ain't nobody got time for that). I mean, I have a life lol. In this new house, there was no good place to put toilet paper! That doesn't seem like a big deal until you have to waddle across the bathroom to get a new roll from under the sink. So after buying an apple crate at an estate sale, I decided it would be the perfect way to fill up a naked place on my wall and have my toilet paper easily accessible! 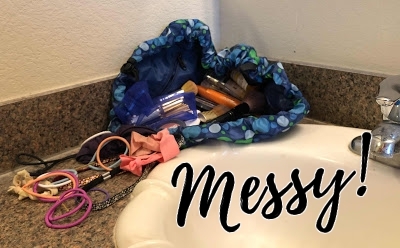 I don't know about you, but I can NEVER find a pen in my house and, as a teacher with a PhD student for a hubby, we have a million of them just laying about all over! Time to organize them! 6. Every one of my blankets has a precious memory attached to it. So when I bought a half barrel at a trade day sale, I knew it would be amazing storage for my blankets! Gorgeous and stylish! Another free secret with a basket of blankets. Put it next to wherever your wifi is plugged up. No one wants to look at that ugly modem, and (since ours is in the bedroom) the lights keep us awake at night! Wrapping it in a blanket wont hurt the connection. So wrap it in up and keep it at the bottom of your basket. No ugly modem. No annoying lights. 7. Let's talk about a steamer trunk. I got this gorgeous thing in college for $30 (a major splurge at the time), and it has served a hundred purposes, including being my coffee table for years. But it's most important use is that it stores all of my memories from my childhood through college. Stuffed animals from my grandma and cards from past birthdays are all safely stored in this trunk, AND it makes a great display for pictures and knick knacks! 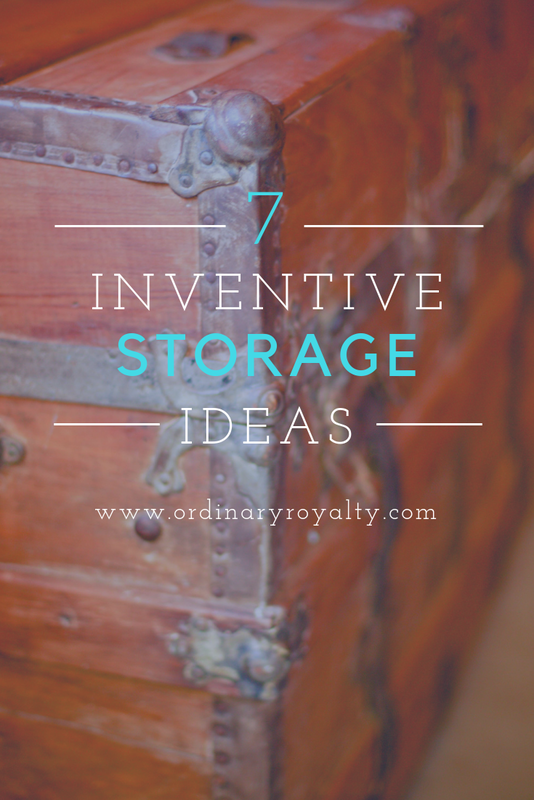 Have you thought of any inventive ways to use your everyday items to get rid of clutter? Leave a comment below, and let us know!